Formulated for dehydrated, under-nourished, and damaged hair, this lightweight, easily-rinsed conditioner deeply moisturizes and restores a healthy look to hair. Utilizing the latest in haircare science, our formula contains molecules which mimic natural oils that coat healthy hair. Blended with enriching Avocado Oil, Lemon Extract, and Olive Fruit Oil-inspired by traditional home recipes-to help rebuild hairs strength and elasticity, and lock in moisture. Gentle, yet luxurious, our formula detangles hair, leaving it silky-smooth and shiny without weighing hair down.Ideal for hair weakened by overexposure to sun, chemical-processing, or excessive heat styling. 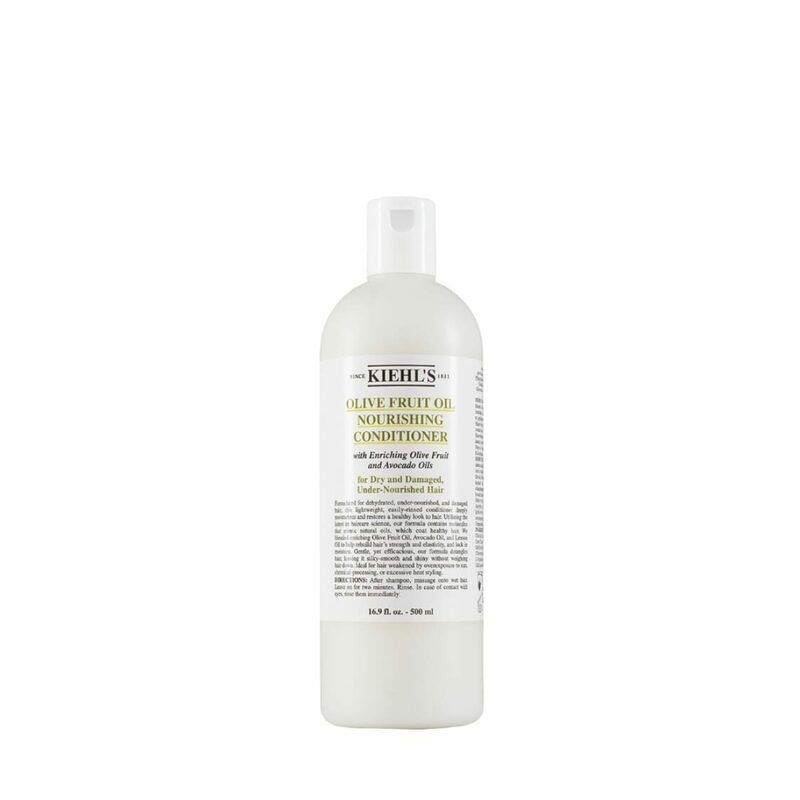 How to Apply : Shampoo hair with Kiehls Olive Fruit Oil Nourishing Shampoo. Rinse and apply a generous amount of conditioner to hair, especially the ends. Gently work through hair and leave on for two to three minutes. Rinse with lukewarm water. Style as usual.